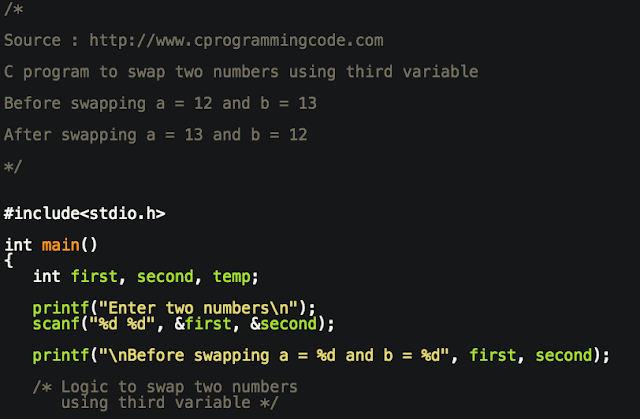 Write a c program to swap two numbers using third variable. 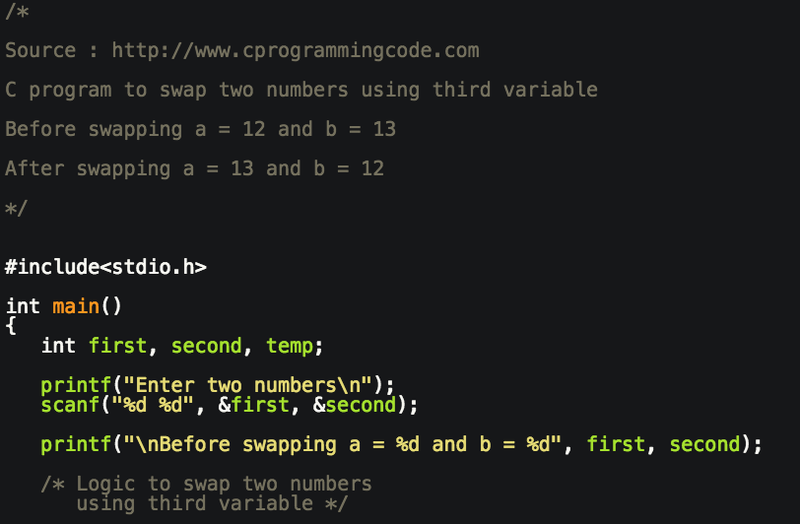 In this program, we are going write a code to take two input numbers from a user and swap both numbers using third or temp variable. i) Take an input number from a user. Let's say user has entered two numbers 4 and 5.
ii) Declare third variable temp which holds the value. Let's assign the value of first in temp. Assign the value of second in first. Assign the value of temp in second. We have discussed the logic to swap two numbers using third variable. Let's write a c code to implement this logic.